"College football fans eagerly awaiting the Jan. 11 National Championship game between Alabama and Clemson won’t have to wait until the fall to catch more college gridiron excitement and drama, thanks to the Jan. 29 theatrical release of the film GREATER. The movie tells the true story of the unlikely career of Brandon Burlsworth (played by newcomer Christopher Severio), regarded as the greatest walk-on (i.e., non-scholarship player) story in the history of college football. 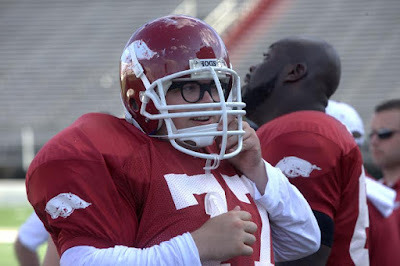 Known for his distinctive black horn-rimmed glasses, the small-town Burlsworth always dreamed of playing for the Arkansas Razorbacks, but wasn’t considered good enough to play Division I football. Undeterred, Brandon -- with the support of his older brother, Marty (Neal McDonough), and their struggling single Mom, Barbara (Leslie Easterbrook), takes a huge risk by walking on to the team in 1994. 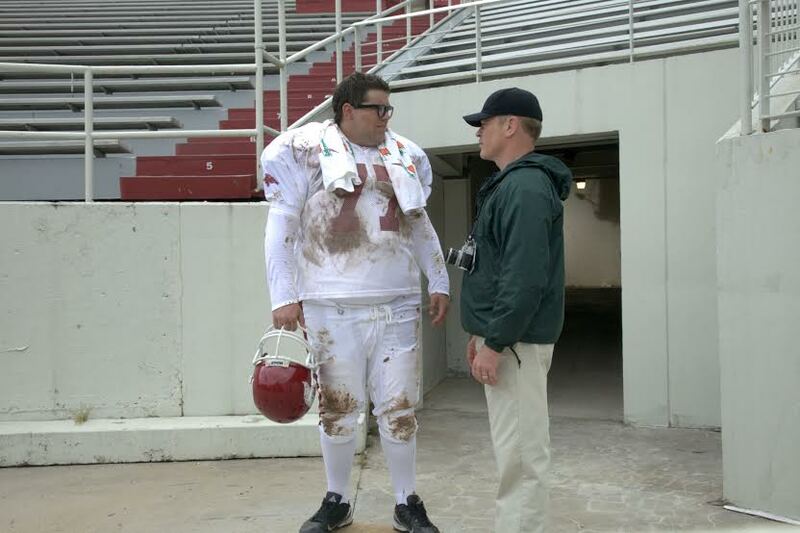 He succeeds in the face of staggering odds, and by the end of his college career, Burlsworth was not only a star player in the SEC, but he was also a 1st Team All-American. He was then taken as an early pick in the 1999 NFL Draft by the Indianapolis Colts. As amazing as Brandon's on-the-field achievements were, he was just as admired for his character. A devoted Christian, he never cursed or drank and was genuinely humble and low-key. He went home to see his mother every weekend. He was also the first Razorback in the history of the program to earn both a bachelor's and a master's degree while still playing football. Eleven days after being drafted into the NFL and before he was able to sign the contract that would have changed the financial status of his family forever, Brandon died in a car accident on his way home. His death stunned the state: He did everything right, and yet he was snatched away before he and his family could enjoy the fruits of his labor. His loss was particularly hard on Marty, who struggles in the film to hang on to his own faith in the aftermath of Brandon’s death – confronted at his brother’s funeral by a mysterious Farmer (Nick Searcy) who tries to convince him that a truly loving God would not let such a bad thing happen to someone who was so good. “This film is as much about Marty’s journey as it is about Brandon’s,” Reindl explained. “He goes through something we all face when we experience tragedy and trials: Which voices do we listen to? The voices of faith, hope, and trust… or the voices of doubt, disbelief, and despair. I am so writing this movie down. 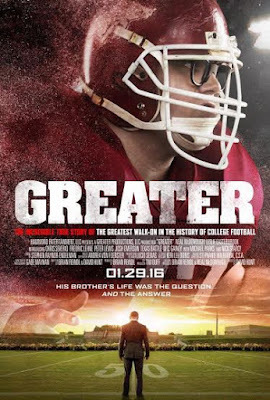 I love watching movies like this one that are faith based and inspiring thanks so much for sharing.